On December 13, 2014 I met with Lynn Lawrence Oberle for lunch, in Santa Clara, California and to capture some wonderful Pan Am vignettes of her flying days beginning in 1949. Lynn was hired in Chicago by a very proper and very classy woman by the name of Gloria Smith, whose nickname was “Glo Bug”. Apparently, the hiring and training procedures were much more informal in the forties than what I remember in the sixties. A steward or stewardess may have been called off line to interview, hire and train the newcomers. 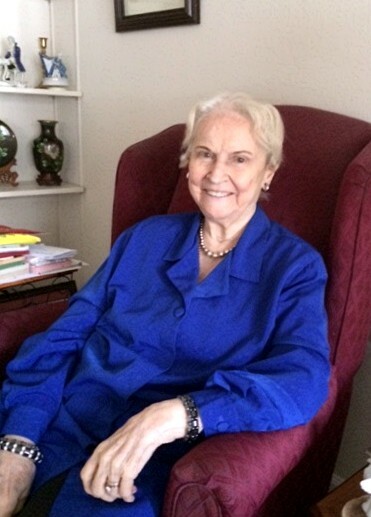 Gloria Smith interviewed Lynn Lawrence in Chicago and she was hired on the spot. Lynn had only four days to take the train home from Chicago to Minneapolis, pack her bags, and take the train from Minneapolis to Miami. She then went through three weeks of training in Miami. To this day, Lynn still corresponds with a friend from her training class; her name is Barbara Ann “BA” Walters. 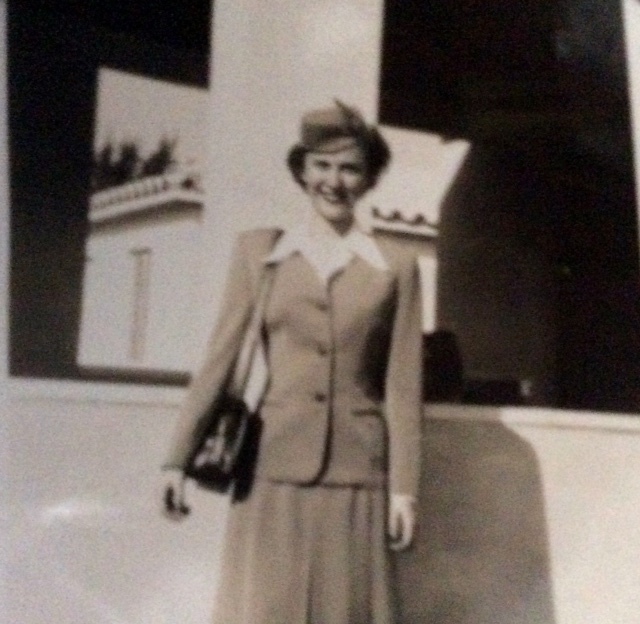 After training in Miami, Lynn began her adventures as a Pan Am stewardess. 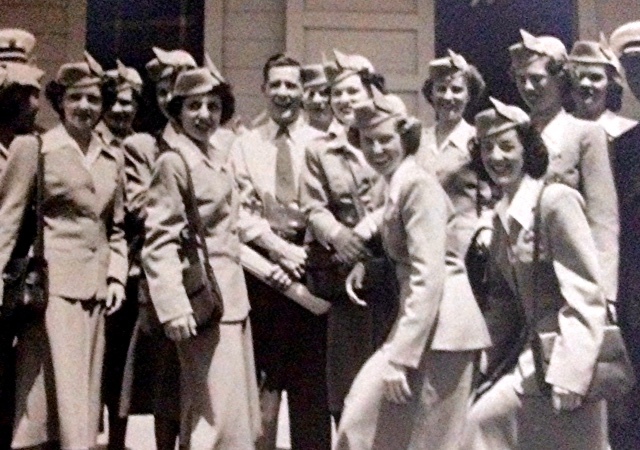 For her first assignment she was based in Miami and flew the Latin American Division (LAD). Her first training flight was from Miami to San Juan, Puerto Rico. They flew through a big storm with a lot of turbulence. The purser was worried that Lynn would get motion sickness and checked on her. Lynn said she was fine and likened the experience to a roller coaster ride. After that, she began flying the whole division. Trips lasted anywhere from seven to 14 days. Her favorite layover was Rio de Janeiro. 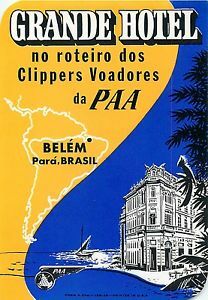 Flying the Boeing 377 Stratocruiser and DC4’s with a final destination of Buenos Aires meant layovers in Trinidad, Belem and Rio. Belem, Brazil had two very elegant Opera Houses. Some very famous opera singers such as Enrico Caruso would perform there and also practice prior to their tour of New York City. 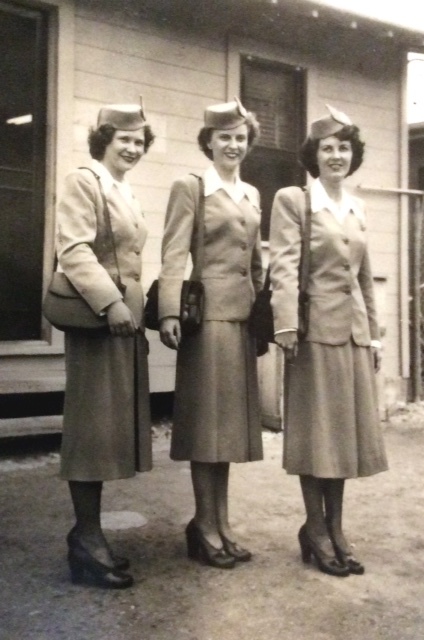 Lynn was privileged as a Pan Am stewardess to be allowed to tour the Opera House on one of her layovers. There were also stopovers in the Caribbean. On one occasion, she was called by the LAD office and was selected for a very special trip. 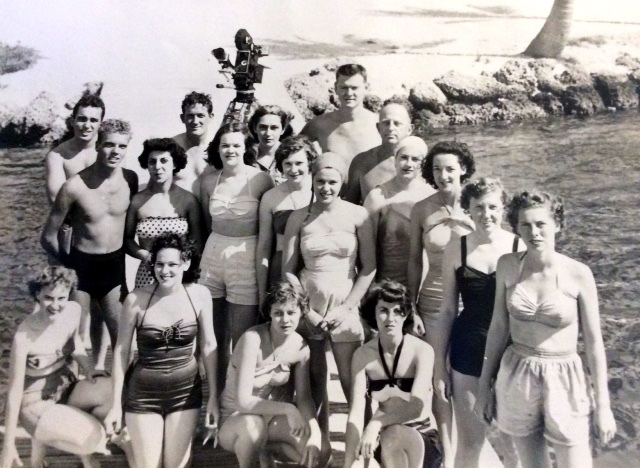 It was to be the stewardess on a one-week Caribbean Tour with Juan Trippe and the Board of Directors checking out old and new destinations. Lynn remembers the turbulence was often quite severe on the propeller planes. The pillows provided for each passenger were mostly needed to stabilize the meal trays. On one of her landings in Buenos Aires, the crew had to remain on the aircraft for over an hour as Eva and Juan Perón had just landed. The DC3 cockpit door would have slots for crew names and each member of the crew carried a fabric monogrammed name tag that would then slide into the slots of the door for every trip. After about two years in LAD, Lynn transferred to the Pacific Division and was based in San Francisco. Trips were anywhere from seven to 32 days. Layover places were Honolulu, Wake Island, Tokyo, Hong Kong, Manilla, Sydney, Auckland and Fiji. As exciting as it was, 32 days was just too long to be away and have any kind of personal life at the same time. Also, Lynn had caught Dengue Fever in Fiji and decided she had her fill of that part of the world. After about one and a half years in the Pacific Division Lynn transferred to New York for the 3 to 4 day New York San Juan route. In New York Lynn met her future husband, George Oberle. He had flown as a steward with Eastern Airlines, TWA and then Pan Am. They married and transferred to San Francisco. In those days, stewardesses were not allowed to be married. Between Lynn’s flying schedule and George’s flying schedule, they didn’t see each other very often. Eventually, George decided he wanted to see Lynn more often, so he told Pan Am she was married. She then had to resign her position. Times have changed. They had three children and settled in the Santa Clara Valley just south of San Francisco. Lynn Oberle is still very beautiful today. Pan Am did have an eye for the interesting and stunning. Lynn Lawrence Oberle, elegant and engaging today! Clipper Crew Note: All personal photographs used in this article were provided by Lynn Oberle and are used with her permission. Now come back with us to the time when the International Convention General Meeting included reports from each chapter president. Well, in 1989, Lynn Oberle, our then co-president, said, “Enough of that. I would rather perform than give a report.” At a board meeting that year, she banded together those who could sing, invited others to join, and the World Wing Warblers were formed. Their debut was at the Houston Convention. They have been warbling off and on at World Wings and Pan Am functions ever since. At this point Carol will interject a personal note, as she is a Warbler. “I am certain that without a doubt, the most memorable moment for the Warblers was when we sang at the memorial service for all of PAA flight service who had perished in service at Christ Church in Philadelphia in 2000.” The great story that accompanies this performance is that when the organist first saw us, he really did not believe that this small group of ladies was worthy of singing in his church. When he heard us in practice, he rapidly changed his mind. But enough about the Warblers. In addition to founding this fun and entertaining group (who, after hearing the Pan Am 12 Days of Christmas, can forget it! ), Lynn has been a tireless contributor of her time, talents and ideas to our chapter for many years. She and her husband, George, were our first co-presidents. This established the model for very successful leadership teams since then. Now we would like to share just a few lines from some of the Panamization that Lynn has done over the years with well known songs. 	Oslo is the place for me. We packed our bags, hats & coats, and headed for this land of boats… World Wings makes the going great (Pan Am commercial). 	Jerry was born under a wand’rin’ star… (Jerry Rand’s roast). 	Thanks for the memories, our dear old Pan Am blue, we’re really missing you. You made the world a better place, and flew the colors true. Pan Am, thank you so much. Thank you Lynn, for making World Wings and our chapter a better place. Terry wrote a good story for you, Lynn, and I know there are more!!!! I would like others who read your story to know that you and George were Co-Presidents of our SFO Chapter of World Wings and that you formed the Warblers singing group and wrote (changed!) the words to many of the songs we sang. I thank you for the wonderful experience!! On Christmas Eve and knocked myself out? That was when we were flying out of SFO…long time ago, big memories! We started in a class together in 1949…Take care, lots of love! B.A.